At the Law Offices of Davis R. Zellmer we strive to provide exceptional estate planning services that encompass all of your unique needs. Because estate planning and trust administration is a process that involves so many personal aspects in your life, we will take the time to get to know you and your family to build a custom-tailored plan. Through estate planning you can make important decisions concerning asset control and management now and in the future. Planning enables you to designate someone to manage your assets and make vital health care and personal care decisions for you if you ever become unable to do so yourself. We look forward to speaking with you personally to help answer any questions and help guide you to find the best estate plan for your goals. Please contact us for a complimentary consultation. 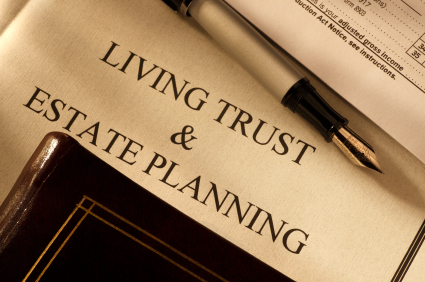 We offer the following comprehensive estate planning packages. Please call for a complimentary consultation to determine which package best suits your needs. We also do trust administration. Revocable Living Trust Package: Includes Living Trust, Pour-Over Will(s), Durable Power(s) of Attorney for Finances, Advance Health Care Directive(s) & HIPPA Waiver(s), Certification of Trust, Trust Administration, Assignment of Tangible Personal Property, and Grant Deed Transferring Real Property into the Trust. Testamentary Trust & Will Package: Includes a Testamentary Trust & Will(s), Durable Power(s) of Attorney for Finances, Advance Health Care Directive(s) & HIPPA Waiver(s), Assignment of Tangible Personal Property. Will Package: Includes Will(s), Durable Power(s) of Attorney for Finances, Advance Health Care Directive(s)& HIPPA Waiver(s), Assignment of Tangible Personal Property. Durable Powers of Attorney Package: Includes Durable Power(s) of Attorney for Finances, Advance Health Care Directive(s) & HIPPA Waiver(s).